Like many other families, when we hear “Apologia Educational Ministries” our first thought goes to science. However, over the years Apologia has really expanded out. We were blessed to receive a review copy of The Ultimate Homeschool Planner from them. I call this a blessing as the one thing that really holds our school together is when Mom has a plan. The last minute scrambling to pull things together really tips the tone of our day in a bad direction. After homeschooling for more than a decade, I am sad to admit that I have never purchased a planner. I have done lots of planning and used different planning sheets that I either downloaded or created using Microsoft Excel, but I have never purchased a planner. As I began reviewing and using The Ultimate Homeschool Planner, the value of this type of tool not just for managing the day to day, but as an archive of our school year really hit. The Ultimate Homeschool Planner contains far more than just weekly sheets to record your child’s assignments on; although it certainly has these included. When I initially flipped through from cover to cover, I found that it is really meant to follow you through your year. The opening pages have full year calendars through 2023 and several goal setting pages. These include both character and academic goals for each child, family priorities for the year, resource lists for curriculum ideas and outside resources to incorporate into your homeschool experience, as well as monthly calendars. I do want to note that I loved that all of the monthly and weekly calendars are completely blank so this is a planner that really starts when you start using it. It is not preprinted as an August through July calendar where you lose several months of value if you start using it in November. Do you get intimidated by a bunch of blank sheets and worry that you might not be using them “right”? Me, too! I was thrilled to find that there were several pages in the very beginning that provided dialogue and examples of how others used the pages throughout the planner. It showed examples of how to complete them and even different ways of really looking at your planning process. The actual weekly planning section takes up the majority of the planner providing space for up to 48 weeks of planning. This makes this ideal for both those families that use a traditional school calendar and those that school year round. Each week is spread between 4 pages. Yes, 4 pages! I loved that the week begins with the celebration of the Lord’s Day. This really puts forth the importance of including God into our plans as well as the study of His Word. This first page has space to fill in your plan for Bible study for the week, a key verse that you wish to focus on or memorize as a family, specific prayer requessts, and also an area to challenge you to include hospitality and outreach into your calendar. I love that this is included at the beginning of the week so that it can then intentionally be included as you build your weekly academic plan. In conjunction with the Lord’s day page is the adjacent page that allows you to record achievements for the week. How many times do we fail to focus on achievements, but always seem to remember our failures or shortcomings. I felt challenged to really use this section and then verbalize it to my children in building them up rather than tearing them down. Just below the achievements section is space for documenting Evidences of Grace. This can be gestures of grace offered between family members or praises of where your family has seen God’s Grace and provision in your lives. The final two page spread in the weekly planning section contains a grid of 6 columns by 6 rows. As with the monthly pages, these pages are not filled in with column/row headings or even the days of the week so there is lots of room for flexibility. In homeschooling an only child, you could put the days of the week as the column headings and your child’s subjects in the rows and really plan out daily work. Our family like many others still have multiple children in our homeschool. We placed our children’s names in the column headings and then the subjects in the rows. In using the planner in this fashion, I entered in weekly summaries that we would then break up into daily assignments. In the right sidebar of this two page spread, there is space for notes, supplies needed, and scheduled appointments to take into consideration. The final section of The Ultimate Homeschool Planner has lots of other great resources for documenting your homeschool year. There were pages to record grades by student and subject, reading lists, field trips and outside activities, high school planning grids through graduation, and year end review sheets that can be used to journal about your year in review. This final section also contained some articles by the author, Debra Bell, on raising an independent learner, motivating reluctant learners, and exploring the different learning styles of your children. As shown in the picture above, The Ultimate Homeschool Planner is spiral bound which allows it to lay flat while writing in it. The cover is a soft plastic with rounded edges and just feels nice. It is also slightly larger than the printed pages inside, which really helps to protect the written pages from the weather and spills. The inside of both the front and back covers also have a convenient pocket for placing schedules and flyers from outside events that need incorporating into your plans, receipts, or whatever else you really want to keep with your planner for easy reference. 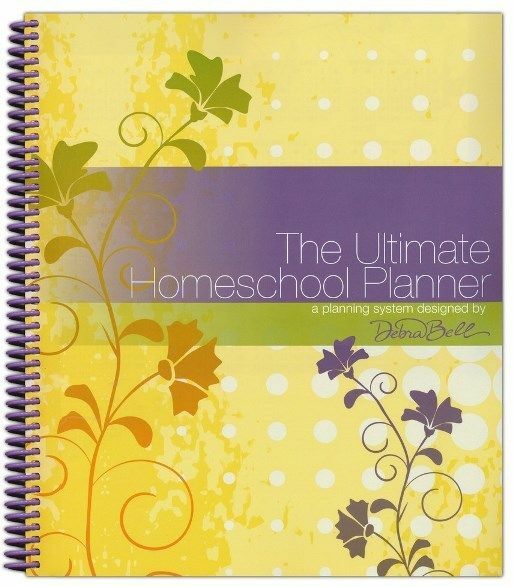 The Ultimate Homeschool Planner also comes in three different cover colors: yellow, orange, and blue. As I already shared, I love to plan, but have never really found a planner that did what I was looking for. The Ultimate Homeschool Planner may just be the solution. In being used to recording each child’s daily work, I have always maintained a separate binder for each child. The idea of having weekly plans for everyone in one place is certainly appealing, especially when combining it with all of the other features that this specific planner has to offer. A big thank you to Apologia for expanding outside the world of Science in speaking to the other areas of the homeschool family’s life. 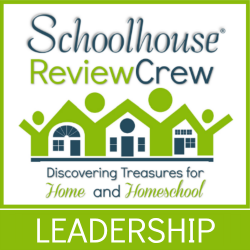 As always, I encourage you to read the other reviews that members of the Crew are doing after using the Ultimate Homeschool Planner in planning out for their unique family needs, educational style, and activities. I am headed that way as I love to see everyone’s creativity in approaching different products, especially those with the flexibility I have seen in The Ultimate Homeschool Planner.